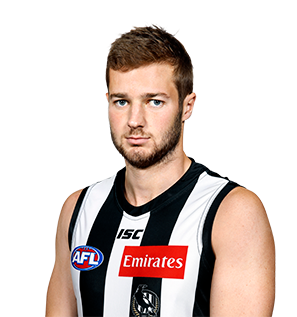 Collingwood will be without Rupert Wills for at least another week after the young midfielder succumbed to a quad strain. Upon his arrival, Wills was already familiar with the Holden Centre after being a member of Collingwood’s VFL side in 2015. It didn't take long for supporters to become familiar with Wills, either, once he broke into the senior line up and averaged 17 disposals and 8.6 tackles per game late in the season. A big bodied midfielder who loves the contested ball, Wills skipped the conventional pathway to the big time. He did not play any TAC Cup football and instead represented Old Scotch in the VAFA. Has great scope for improvement given his late introduction to the game and stands as a player to watch in 2017. The 23-year-old’s early season form had some touting him as an ANZAC Day debutant, but he instead had to wait until round 19 before breaking into the senior side. But once Wills had made his way, he did not look back, averaging 17.6 disposals and an incredibly 8.6 tackles per game. In fact, he laid 41 in his first four matches, a feat unmatched by any other player in VFL/ AFL history. He served notice by laying 11 tackles and winning 17 disposals on debut against the Eagles and by season’s end was playing a key role in the centre square. Wills’ selection came off the back of a fine year in the VFL in which he averaged 23.1 disposals and 5.8 clearances across 13 games. Most memorably, he kicked one of the goals of the year from the half back flank in icy conditions against North Ballarat. To the large majority of the football world, Wills has seemingly been plucked from obscurity and thrown into the AFL world. But the midfielder already is comfortable with the Collingwood coaches and the surrounds of the Holden Centre. 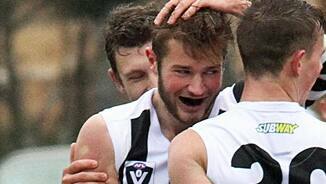 He averaged 17.2 disposals in six games for Collingwood’s VFL affiliate in 2015 before succumbing to a bad case of concussion sustained while playing club football for his local team, Old Scotch.